Beading threads are nylon. Most are shaped like a typewriter ribbon. Most are bonded with built in abrasion resistance. If a twisted thread, then there is no built-in abrasion resistance. We suggest always waxing your threads. 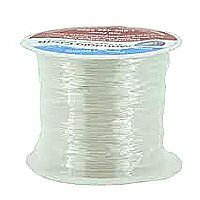 Nylon is the modern way of bead stringing. Nylon does not fray as much, or stretch as much, as the silk. High performance nylon does not stretch. 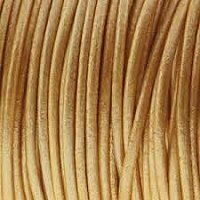 We carry Griffin (good quality), Stringth (best quality), and C-Lon Bead Cord and C-Lon Micro Bead Cord (best quality) brands. 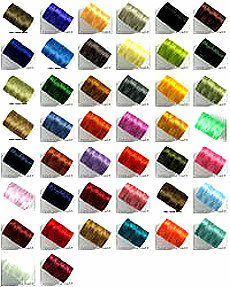 Nymo, C-Lon, and ONE-G threads are basic beading threads. These threads are like very thin long ribbons. The ribbons are made up of long strands of fibers. The ribbons fray easily, so you always wax your thread, even if the product says "pre-waxed'. 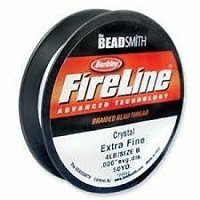 FireLine and Spiderwire, are used like threads, but they are really what we call a hybrid cable thread. 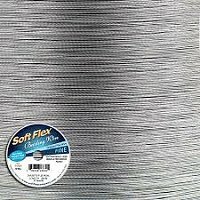 These are a hybrid between threads and cable wires. 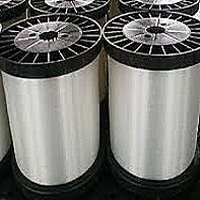 These are threads that are braided together and encased in a nylon coating. 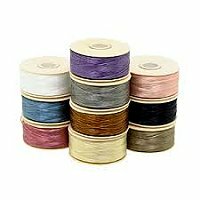 (Cable wires are wires that are braided together and encased in nylon). You don't have to wax these, but waxing will protect the nylon sheathing from the adverse affects from perfume oils, cosmetics and body chemistry. These hybrid cable threads are not meant to show in your piece. If you want the stringing material to show in your piece, you would typically use what is called a Bead Cord. Here you might be putting knots between beads, or doing something like a tin-cup necklace, where you have a cluster of beads, and the cord shows, another cluster, cord showing, etc. - How To Use Coil Clasps With Leather! - Typical Lengths of Bracelets, Necklaces, etc. Everything you need to string your beads, from soft flex, tigertail, nymo and bead cord to elastic string, elastic cord, Soft Touch, hemp, One-G thread, memory wire, rubber thong, rattail (satin cord), leather, waxed cotton, suede lace, sinew, and much more. In addition, a full selection of plated craft wire and colored copper wire, as well as sterling, fine silver, nickel, brass, copper and gold-filled jewelry wire. Also, finished sterling, gold-filled and plated chain, as well as sterling and gold-filled chain by the inch. Also, cords and ribbons with clasps already attached.